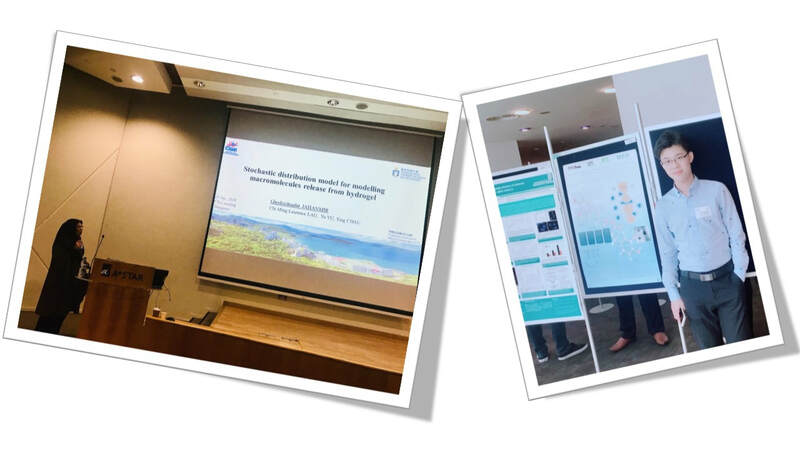 Ghodsieh and Jianhui attended first Controlled Released Asia meeting which was held in Singapore, 24-25 Sep. 2018. 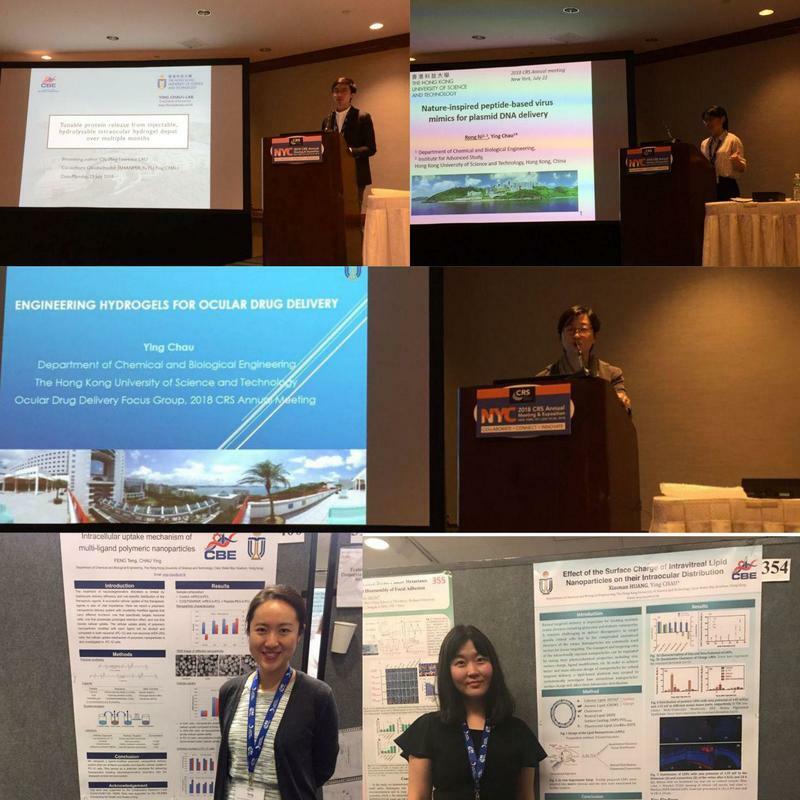 Prof. Ying Chau, Dr Rong Ni, Laurence, Andrea and Grace attended the controlled released society annual meeting at New York, NY, USA on 22-24 July 2018. 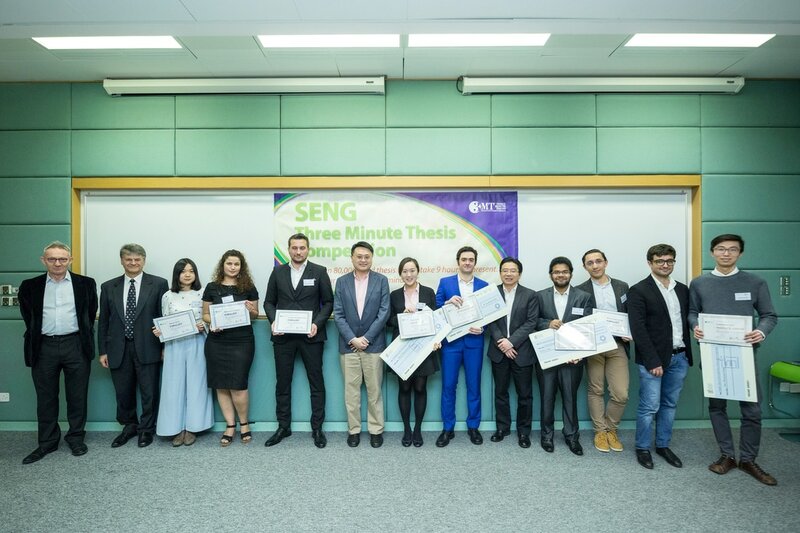 ​Grace attended 2nd bioengineering and translational Medicine Conference on Oct 28-29. Held in Hilton, Minneapolis by SBE (society for biological Engineering), AICHE. she had a presentation about "Investigating the Impact of the Surface Properties of Intravitreally Injected Carriers on Their Retinal Bio-Distribution in a Single Nanoplatform"
Ghodsieh gave birth to a baby girl (Sidratalmuntaha سدرة المنتهی ) on 26 Sep. 2017. 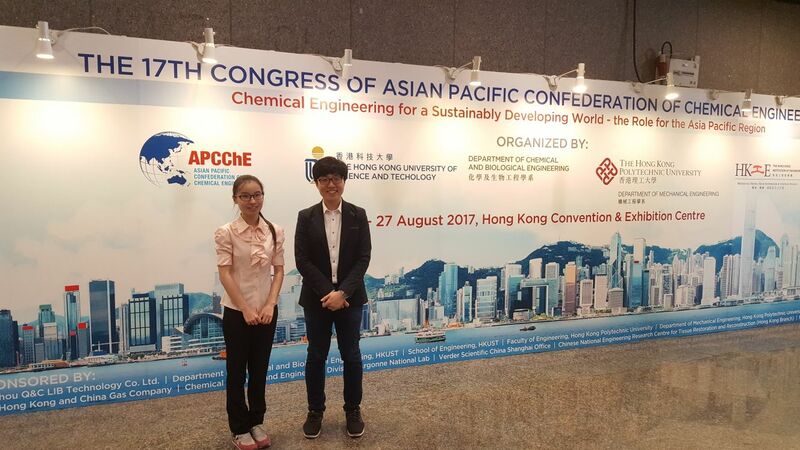 ​Woojin and Emmie presented their posters at the 17th Asian Pacific Confederation of Chemical Engineering (APCChE) Congress, held in Hong Kong Convention Centre (23 to 27 August, 2017). Prof. Ying Chau, Dr Rong Ni, Dr Yu Yu, Laurence, Andrea and Ghodsieh attended the controlled released society annual meeting at Boston, MA, USA on 16-19 July 2017. Dr Yu Yu attended ARVO 2017 annual meeting at BALTIMORE, MARYLAND (7-11 May 2017) which is the largest eye and vision research organization in the world. Congratulation to Andrea and Laurence! 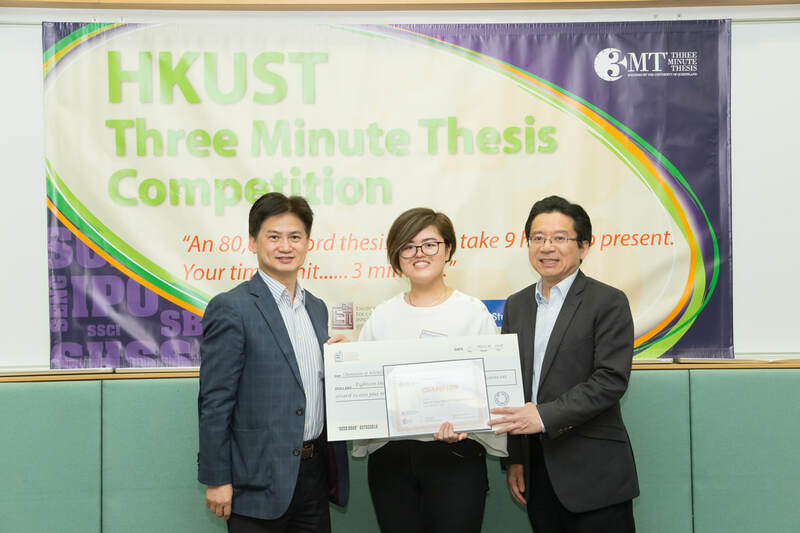 Andrea and Laurence won the championship and The People’s Choice Award in the 2017 SENG Three Minute Thesis Competition. 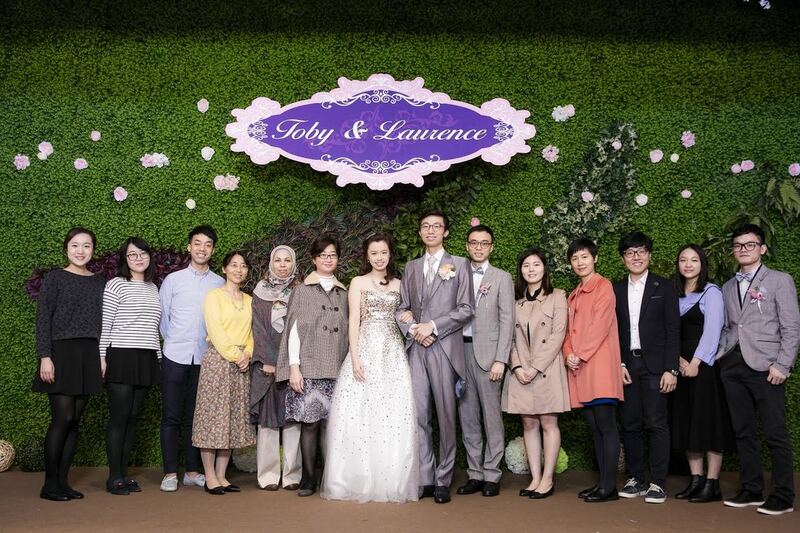 Congratulation to Laurence for his marriage ! Lab party and group meeting at Laurence's wedding ceremony!